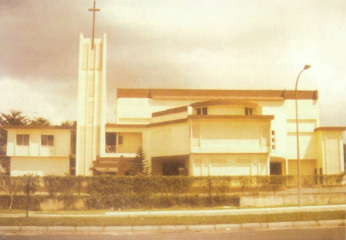 On Father Saussard’s return from leave in March, plans were drawn up for the church building and in 1969; they were approved by the relevant authorities. The cost was set at $335,000. By November 1970, the construction was completed and on 21 November of the same month, the building was consecrated by the Archbishop. At the point of completion, $211,295 had been raised. The Archbishop extended the balance as a loan. The Catholic Welfare Service branch at Jalan Kayu continued to operate. Many of the activities were maintained. The activities that needed additional space to operate moved into the new building. 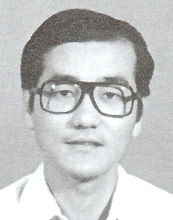 New groups emerged; a teachers’ Conference to coordinate the tuition programme, a ladies’ floral group to manage the sprucing up of the altar, a team to maintain the cleanliness of the church building and a fund-raising committee to raise funds for the support of the various church activities. Assisting him was Fr. 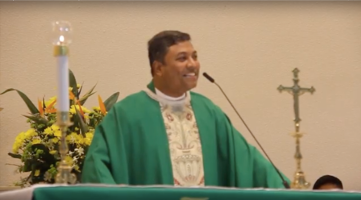 Edgar D’Souza, who took direct charge of the altar servers. He got them organized into a disciplined lot. He also placed the Lectors on a firmer footing, with whom he held regular meetings to explain the liturgical readings. He also got the wardens better organized. Finally, he wiped out the debt still owing to the Archbishop by reviving monthly contributions and inviting parishioners to take up a pew for a small fee in honour of a departed relative. Besides Fr. Edgar, Fathers Cyril Lee, Adrian Anthony and Lawrence Yeo came to assist. They continued the work of Fr. Edgar with the youth, as did Fr. 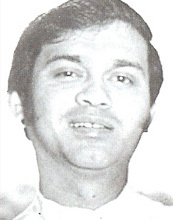 Ambrose Vaz, who while still a seminarian, was apprenticed to Fr. Saussard. A consummate era came to an end in 1976 when Fr. Saussard retired, his health in jeopardy, somewhat. He took up residence in the centre at Jalan Kayu and took charge of it. The Jalan Kayu centre was operated by the Nuns of the Holy Infant Jesus.